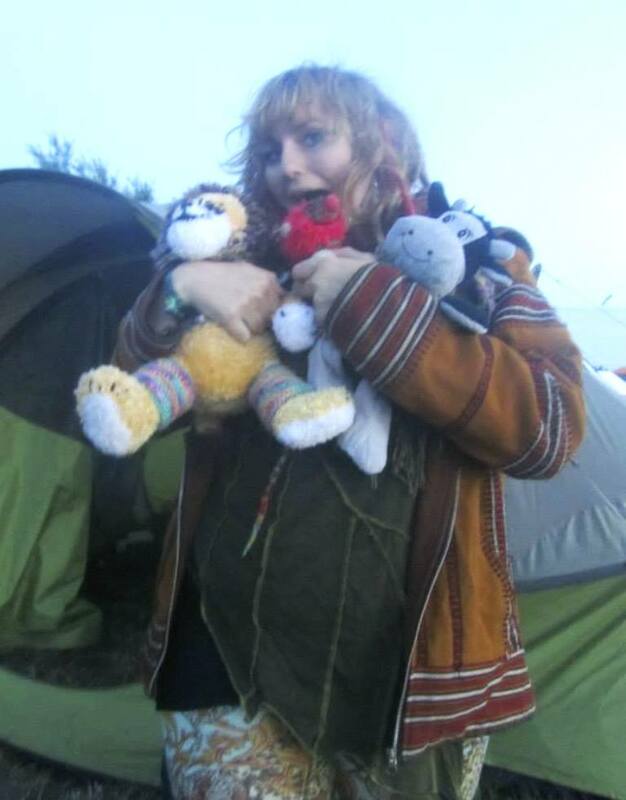 RaggaRory’s First Festival . 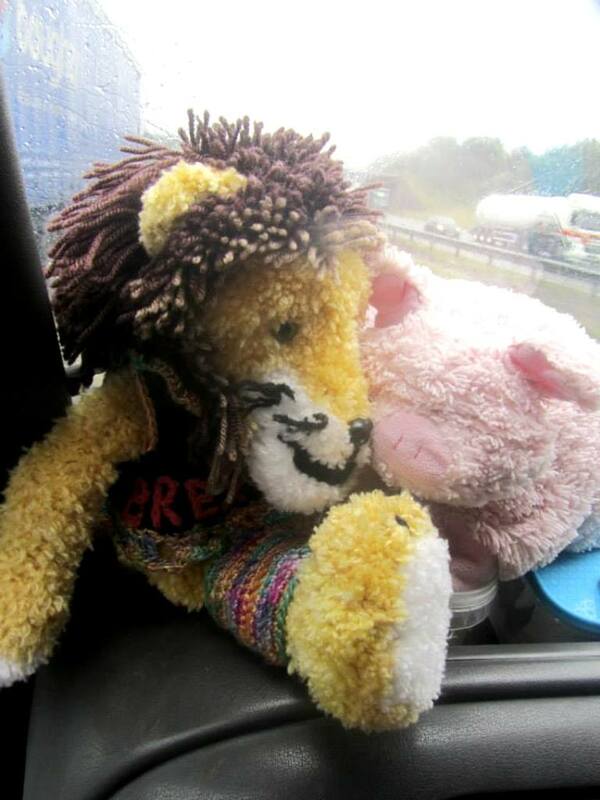 . .
Brex took him with her when she went to the Secret Garden Party Festival and, while they were travelling there, Ragga made his very first friend – an Australian pink pig! It’s so nice to meat – oops – I mean, meet you! Once they got to the festival, Ragga lost little time in making some more friends – and making himself right at home, too . 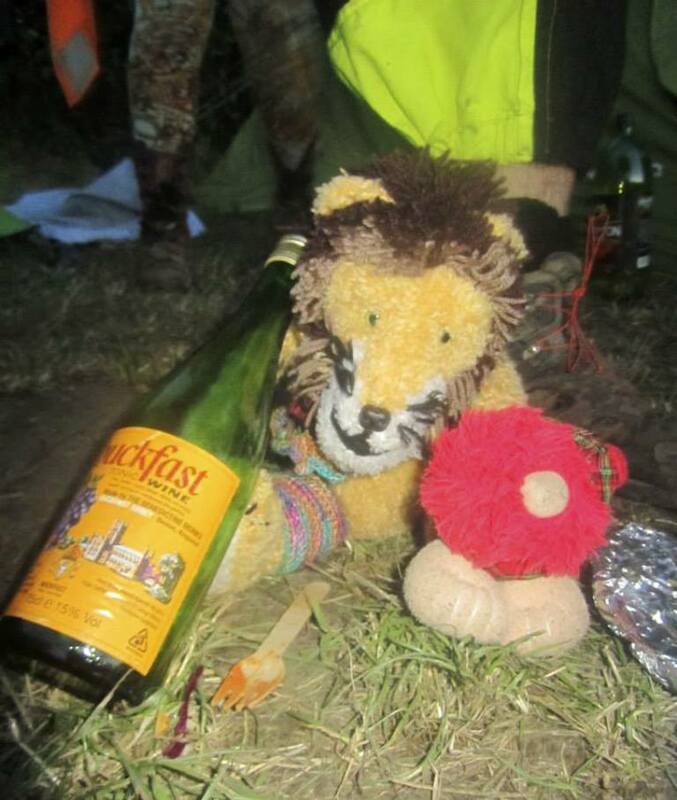 . .
RaggaRory getting his first taste of Buckfast! But, not having drunk alcohol before, Ragga got a bit carried away and, while all of his human friends went off to do their performance, he invited all of his new friends around for a drink and something to eat . . . 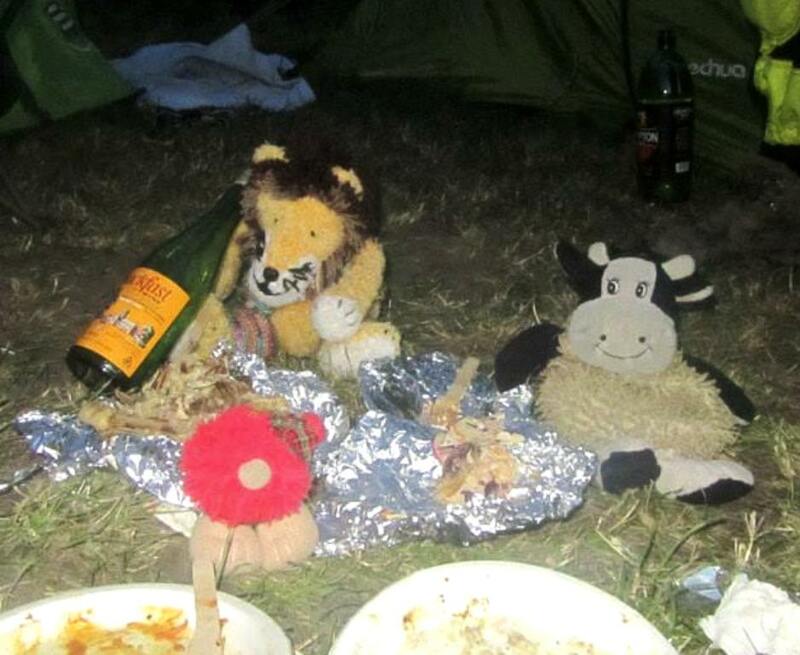 He didn’t think they’d miss the 3 bottles of Buckfast, and the chicken pieces the humans were saving for their supper . . . He didn’t get into any trouble, though because, unknown to Brex, Ragga had made his very own groupie, who swore to protect him with her life . . .
Becca swore she’d save all of her chums! So, it’s nice to know that Ragga’s first festival has turned out to be a roaring success – though I’m a bit worried that I’ve not seen pink piggy since that first photo . . . it was chicken they were eating – wasn’t it? Glad that Ragga had a great time, Katy! A fun, unique post!